The 2018 General Election is almost here. I am sure you have seen and heard many ads encouraging you to get out and vote. Let’s take a moment to review how to vote and what to expect at the polls. 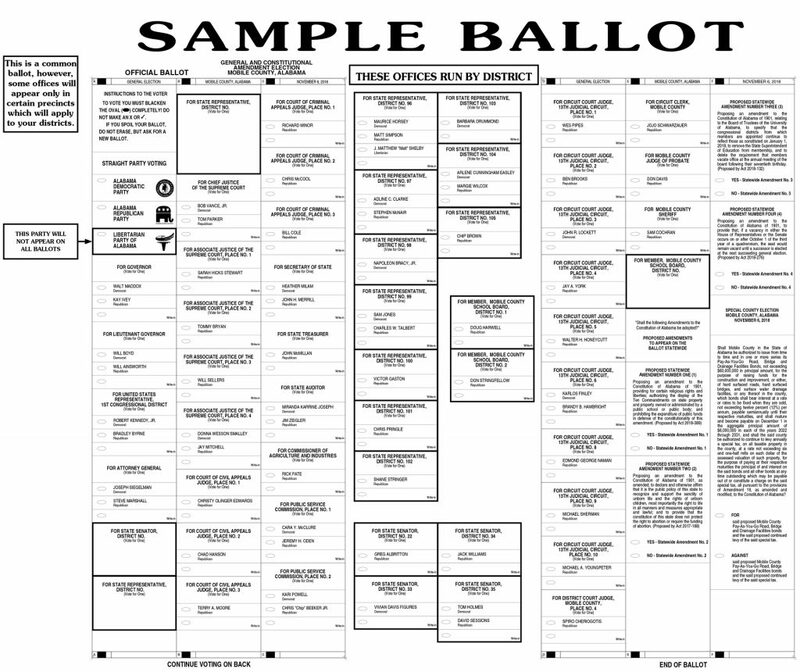 We are including the 2018 General Election Sample Ballot for Mobile County below. Here you can see candidates and what amendments are up for voting. We are encouraging people to vote for the straight Republican ticket to continue the fight for lower taxes and job creation. You will see on the ballot there is a box to do this. We also have provided an explanation for ballot amendments from https://sos.alabama.gov/alabama-votes/voter/ballot-measures/statewide. If you still have questions about these amendments, we strongly encourage you to reach out to us on Facebook or through email. While we may not have the answer immediately, we will be happy to reach out to those who will on your behalf. 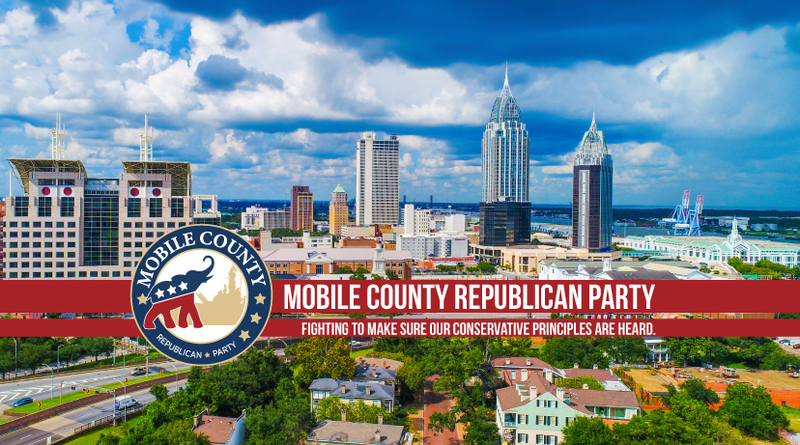 If you find this information helpful and want to support conservative policies, we hope you will consider taking a moment to donate to the Mobile County Republican Party on our donation page. “Proposing an amendment to the Constitution of Alabama of 1901, relating to the Board of Trustees of the University of Alabama, to specify that the congressional districts from which members are appointed continue to reflect those as constituted on January 1, 2018, to remove the State Superintendent of Education from membership, and to delete the requirement that members vacate office at the annual meeting of the board following their seventieth birthday. This proposed Constitutional Amendment will appear on the Ballot after election of statewide and local offices and will be the third constitutional amendment for voter consideration. The proposed Constitutional Amendment will be listed as “Statewide Amendment 3“. If a majority of voters vote “Yes” on Amendment 3, future changes to the number of congressional districts in Alabama will not impact the number of board members, the State Superintendent of Education will no longer automatically be a member of the board, and trustees will be allowed to serve on the board after their seventieth birthday. If a majority of voters vote “No” on Amendment 3, future changes to the number of congressional districts in Alabama will impact the number of board members, the State Superintendent of Education will continue to automatically have a seat on the board, and trustees will not be allowed to serve on the board after their seventieth birthday. DisclaimerMembers of the Fair Ballot Commission are not responsible for the content of any linked website. The website links do not represent an endorsement of the websites by the Fair Ballot Commission. If you vote a straight party, do you still need to darken each person in that party? No, you do not have to fill in the bubbles beside a candidate if you choose to vote straight party. You will still need to vote for the amendments though.